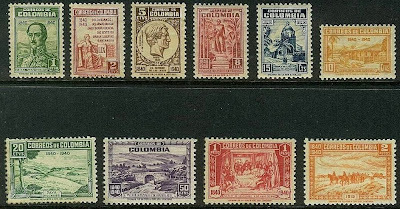 In 1940, Colombia commemorated the centenary of the death of General Francisco Santander, the leader in Colombia's War of Independence, and the nation's first president (Scott #475-84). 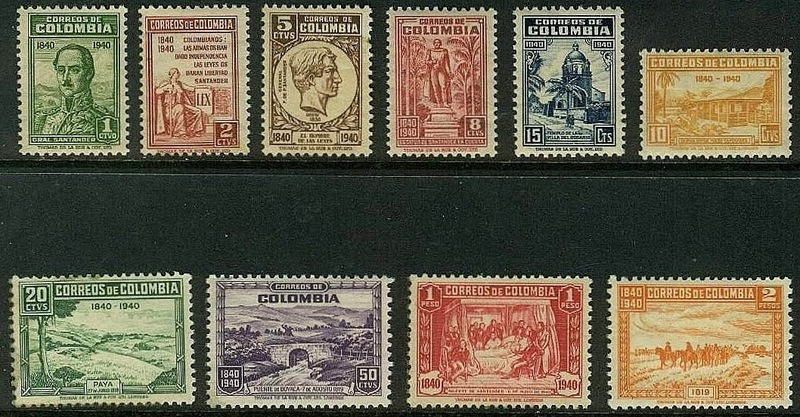 Only 5,000 sets were issued, and Scott '14 prices the unused set at $ 109.10. In my opinion, the set is grossly undervalued, and should be purchased in F-VF+, NH, LH, or used condition. A nation of 45 million people, Colombia has been plagued by decades of serious internal armed conflict, drug trafficking, corruption, and gross inequities of income, but has nevertheless racked up impressive annual GDP growth averaging 5.5% over the last 5 years. Moreover, until the global financial fiasco cut its GDP growth to 3% in 2009, it had been steadily accelerating, from 2% in 2003 to 8% in 2008. Recently, the government, armed to the teeth by the U.S., has applied a dual policy of combining military pressure with negotiations to cope with the various guerrilla factions within the country. This seems to have worked to some extent, as the number of insurgents has been halved, and the number of homicides and kidnappings drastically reduced. While some argue that the Colombian government is still utterly corrupt, and has violated human rights and supported paramilitary death squads in order to achieve relative peace, it may be that this is par for the course, given the nation's history. A dialogue between the Colombian government and guerrillas of the FARC-EP began in 2012 with the aim to find a political solution to the armed conflict. The Colombian government and rebel groups met in Cuba, and as of November 2013, the talks have been promising. The Government also began a process of assistance and reparation for victims of conflict.The main challenge that the country faces will be that of sharing more of the wealth with the majority of the population so as to develop more of a middle class and political center. Otherwise, it will devolve into a violent, unstable mess. 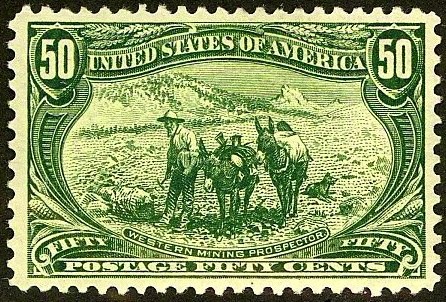 "The Stamp Specialist" blog features my buy prices for stamps which I am interested in purchasing. I've posted a buy list for Cuba. Viewing dealers' buy lists every now and then is an excellent way to keep up with the vagaries of the stamp market.